Pinterest has become a slight addiction of mine. I only started using Pinterest around August 2016 so not long ago. I had an account but never used it as I never really understood the point of it but now I am on it daily. Since August my followers have grown and I am now on 16K! I honestly cannot believe I have that many followers in such a short amount of time. I have had so many people ask me what I do so I thought I would share with you all what I do. Now to be honest it isn't anything technical and I don't know why it has made mine grow so quick but I am so thankful. I get alot of people ask me do I get many views to my blog from Pinterest, in the beginning I didn't. 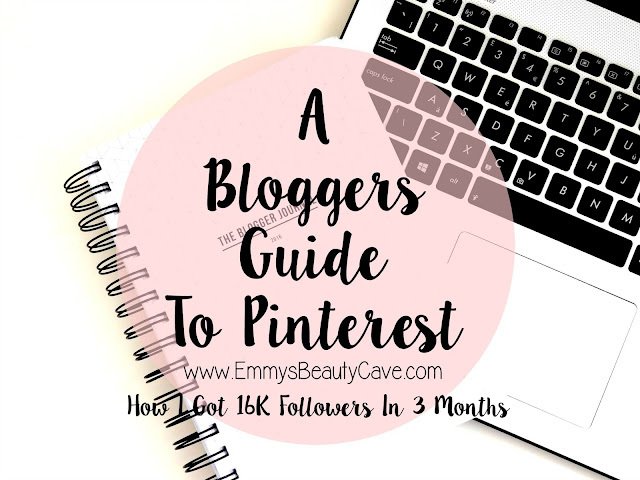 It has only been over the past month or so I have noticed I am getting alot of traffic from Pinterest so it is worth sticking with it. Don't expect instant results as it doesn't work that way. Be Active | This is an obvious one but I always get asked how many pins should you be pinning. That is up to you. I usually pin a minimum of 20 a day. Some days I don't bother and only do one or two but I try and do at least 20 which is pretty easy on Pinterest. Eye Catching Boards | I have around 40 boards now but some I don't use. I did an interview on Caitlin's blog Through The Mirror (Check out her blog she has some great blog tip posts) and I explained you don't need lots of boards you can just have 10 boards and focus on those. For beginners I would advise have no more than 10 boards and concentrate on building those before creating new ones. Give them catchy names, some of mine have boring names i.e. Autumn Fashion or Hair Envy but try to make some catchy ones to make your board stand out. Keep Boards Secret | When I first start a board I make it secret! When you create a board you get the option of keeping it secret or public. I do this because if I didn't someone would click on my board and only see 3 pictures and wouldn't follow. Keep your board secret until you have pinned at least 30 pins. Then you can make it public. It shows people you are active and pin often. Follow | Be sure to follow other boards. Don't be someone who only pins and doesn't follow anyone. The more people you follow the more images you have to pin. I think I follow around 400. Be You | I make boards about topics I enjoy, this way I constantly enjoy pinning things related to them. I wouldn't start a board for things I don't personally like as I wouldn't pin things as much compared to the boards I enjoy more. Pinterest is a great way to grow traffic to your blog. It does take time and work, be patient and it will happen. Images | In the beginning I would just pin the images from my blog post but now when I take my blog photo's I take an extra photo. As you can see my blog photo's are wide but for Pinterest you want them to be long in length and not as wide as Pinterest prefers slim tall images. Below you can see an example from one of my posts and see my blog picture vs my pinterest picture. 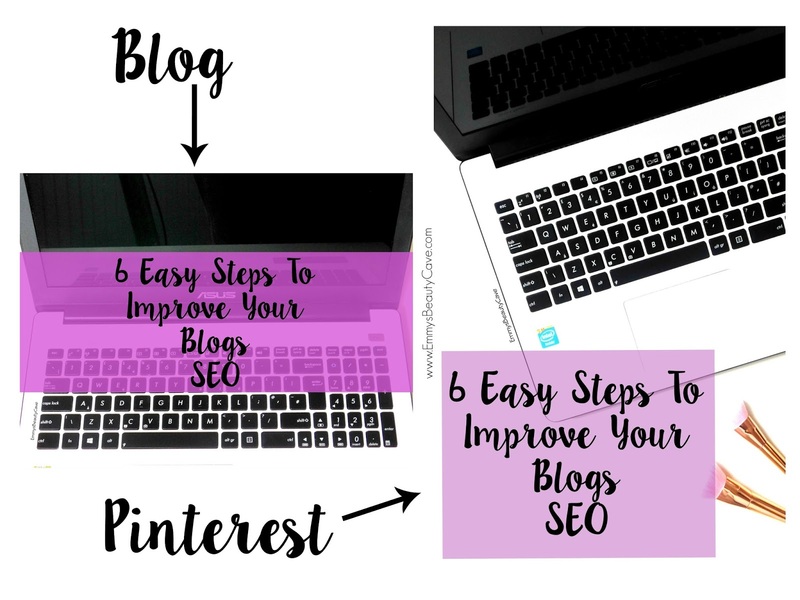 Pin Your Post | You can pin images directly from your blog and it will automatically have the link or if like me you take an extra photo and upload it directly to Pinterest copy and paste the blog post link into the Pinterest image. Group Boards | These aren't something I use that much but I should do. You can search many Pinterest group boards related to what you want. Join them and then pin your blog posts. Promote | I promote my Pinterest once a day on Twitter. I also ask bloggers for their links so I can follow them. Socialize as you can't really socialize via Pinterest so do it on another platform. Google Analytics | Once logged into GA go to Acquisition (left hand side) - Social - Network Referrals - Scroll Down - Click where it says Pinterest in the list and it brings up a list of referrals from Pinterest to your blog. That is everything I do on Pinterest, nothing special but just little things that can help grow your Pinterest. Have you seen my other blog tips posts? I recently did a Bloggers Guide To Twitter.